I am now offering more extensive tip repair and restoration for damaged mouthpieces. Tip repair is a very delicate and complicated process – requires the right amount and type of filler – also a good eye to smooth and reshape the tip contours. I have come up with what I believe is an excellent resin mix for filling mouthpieces, should hold indefinitely. 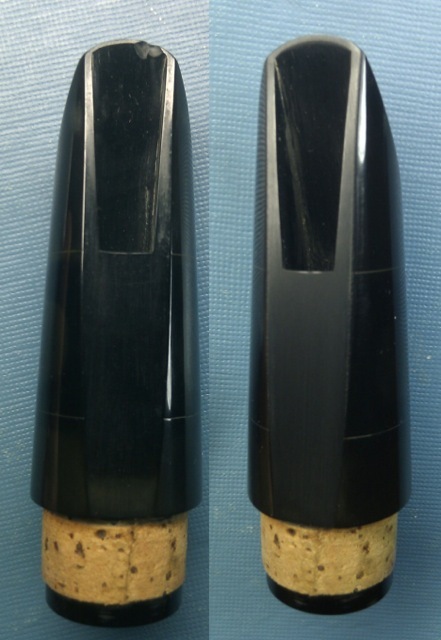 Below is an example of a repair with my mix – a broken A. Robert Bb mouthpiece – restored to perfect playing condition. Have you ever done a C Robert Scott M.P. ?